If you’re looking for full-service, cut and sew company professionals, talk to American Made Apparel Manufacturing in Denver. We have over 30 years of experience helping our clients develop high-quality, custom apparel (and so much more) from our fully-equipped facility. Using the latest equipment and methods, we can mass-produce just about anything you can imagine. Along with having the coveted designation of “100% Made in America” your apparel development will be managed by seasoned professionals from start to finish. At American Made Apparel Manufacturing, our approach includes open and ongoing communication with our clients. From your initial consultation to pattern drafting, size grading and prototype building, we’ll guide you through each step and work diligently to achieve your vision. 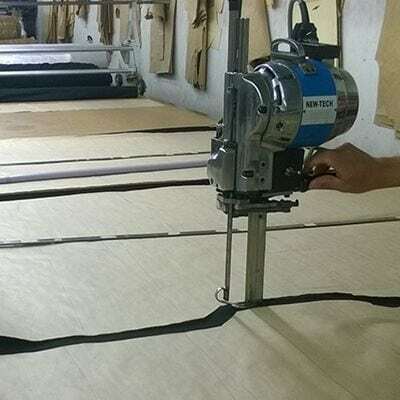 And once production begins, runs big and small will be subject to our stringent quality standards, ensuring a final product that exceeds expectations. The first step is to speak with a friendly, American Made expert. We’d be more than happy to discuss your apparel manufacturing needs, budget and timeline, as well as how we can support your success. Based on our initial consultation, we will draft a pattern for your apparel or sewed item. We have experienced designers to help you develop new products quickly and efficiently. We use the latest technology to digitize patterns and grade sizes for accurate cutting and sewing. Design Consultation – Bring your vision and ideas, sketches welcome. We’ll assist you in choosing fabric and the best construction approach, as well as balancing aesthetics and maximizing cost efficiency. Pattern Drafting with CAD/CAM – Pattern making has come a long way and American Made uses the latest, most sophisticated software to ensure precise design and proper measurements. Size Grading – We use industry-leading Accumark Gerber technology to digitize patterns and grade sizes accurately so that we can utilize your fabric efficiently with CAD/CAM markers. Prototype Development – Now it’s time to turn your vision into a physical product. American Made will provide final samples for your approval before moving ahead with mass production. Laying and Cutting – We use over 24 yards of cutting table space to maximize bulk-quantity fabric laying and cutting. 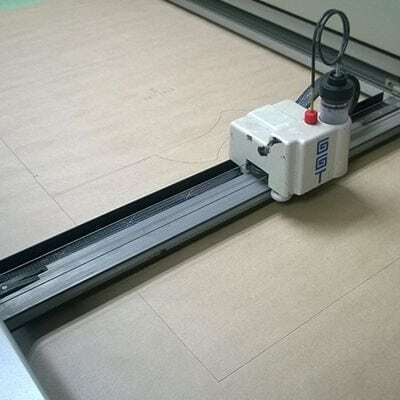 We also utitlize machine-assisted cutting to ensure meticulous precision. Sewing & Production – At this point, many competitors will put things into cruise control. At American Made, this is where we take all the design and prep work and see it through to the finish line. Inspection & Prep – Every item we produce is carefully inspected for issues before being handed over to the client. All orders can be tagged, packed by size and shipped, or held at our facility for pickup. If you’re looking for custom cutting and sewing or apparel manufacturing in Denver, we invite you to find out why top brands choose American Made Apparel Manufacturing. We provide expert guidance, quality product production and treat every client like they’re our only client. You simply won’t find a team more dedicated to your needs and satisfaction. We look forward to supporting your success.